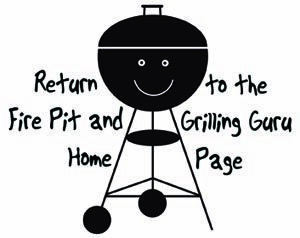 A smoker grill is an outdoor grill specifically made to smoke foods. Well with regular grill cooking you certainly get some aromatic wood smoke into your food, but the primary cooking is being done by the direct radiant and ambient heat coming off of your charcoal or gas burners. 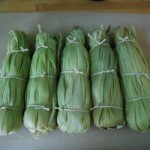 In smoker cooking, the goal is to let the hot smoke alone slowly cook your food so that it is thoroughly permeated throughout by savory wood smoke flavor. The food smokes slowly, becoming tender and intensely flavored. This is usually accomplished by using very low indirect heat and plenty of smoking woods to produce that aromatic smoke. To accomplish smoker cooking you need a closed cooking space to contain the smoke, a heat source you can control the heat of fairly easily and plenty of smoking woods such as mesquite, hickory, apple wood or others. This type of cooking does not absolutely require a dedicated smoker barbecue as pictured above. However, there are many companies that make grills specifically designed for smoking food. They generally have the capability for close temperature control and a small enclosed space to trap that hot, aromatic smoke. Below is a charcoal example which has an offset smoker box and chimney to help direct the dense smoke you produce through the cooking compartment. 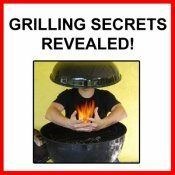 Do you absolutely need a smoker grill? No. If you plan to do cook smoked foods regularly, you may consider investing in a dedicated smoker box or grill. However, if you would just like to occasionally smoke foods then you can get by with other grills. What you want is something with a lid that you can control the heat closely. For charcoal grills, a traditional kettle grill, such as the Weber charcoal grills is an excellent choice. By varying the amount of charcoal used and closing down the vents on the lid so that only a bit of air gets to the charcoal, you can keep them burning slowly. Occasionally adding smoking woods keeps a constant flow of smoke going. It helps if you have a grill thermometer to keep track of the temperature and check the food periodically to be sure it doesn't cook to fast. Use indirect heat to help assure that the food doesn't cook to fast. 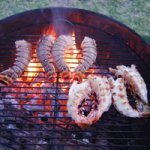 Keeping the temperature controlled and the constant source of smoke can be a bit more difficult in these types of grills than a dedicated smoker grill, but with a bit of practice they can do quite well. A gas grill can likewise do just fine with a smoker box to house your smoking woods. Only light one burner and keep on low heat with your food on the opposite side so that you maintain a low heat with a constant source of hot smoke. from the Smoker Grill page.